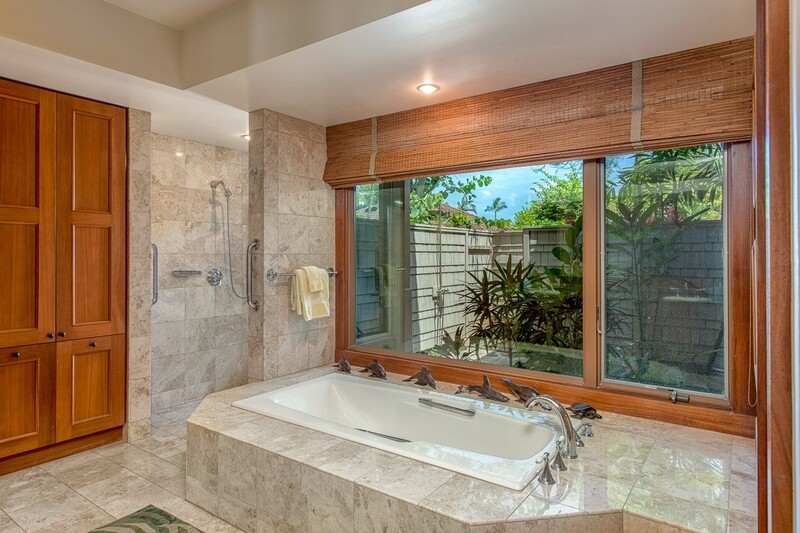 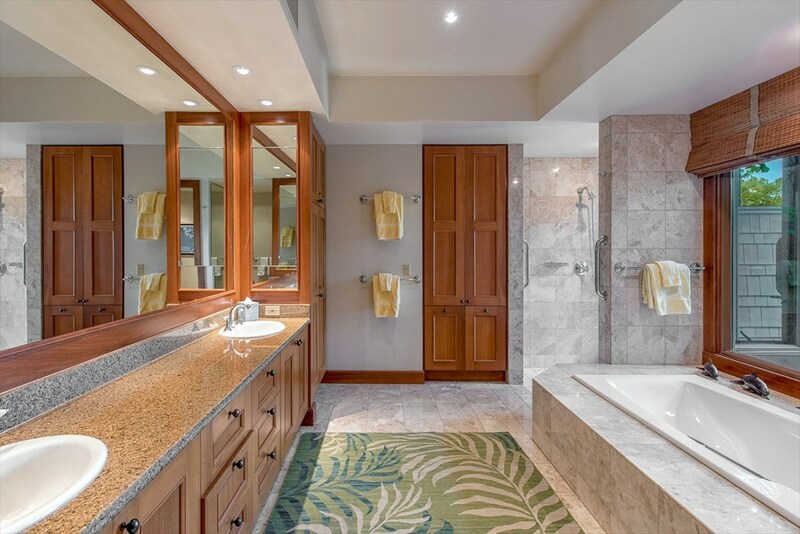 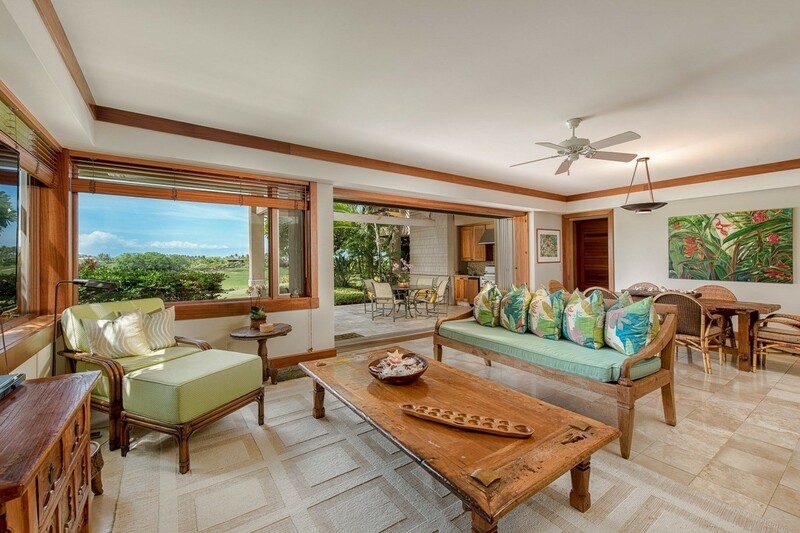 Hualalai Resort, Waiulu Villa 133A has been beautifully maintained by the original owners and is on the market for the first time. 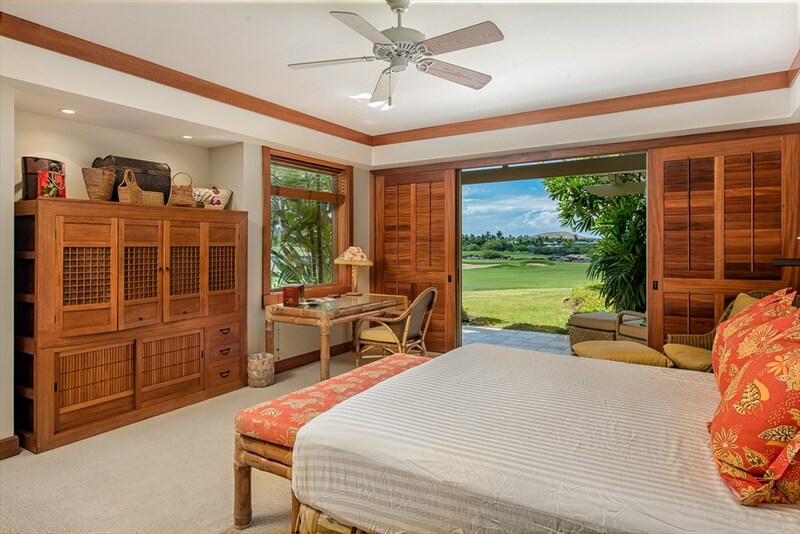 This ground floor unit features stunning golf course and ocean views. 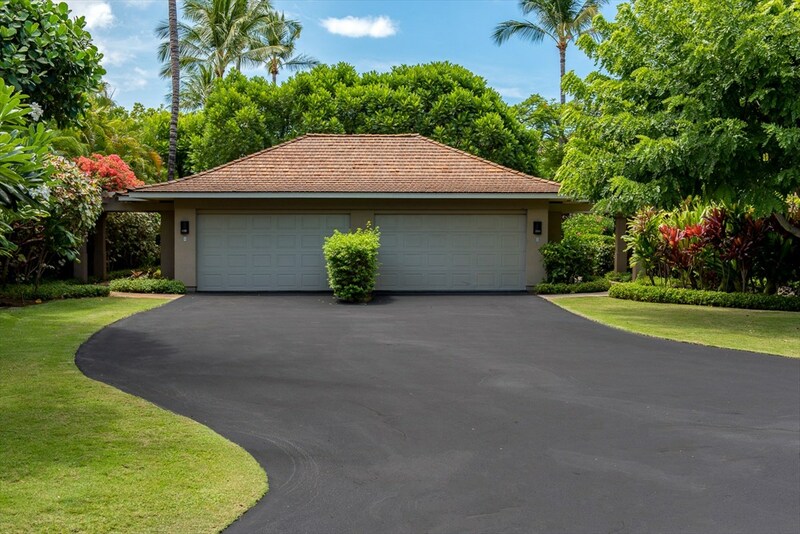 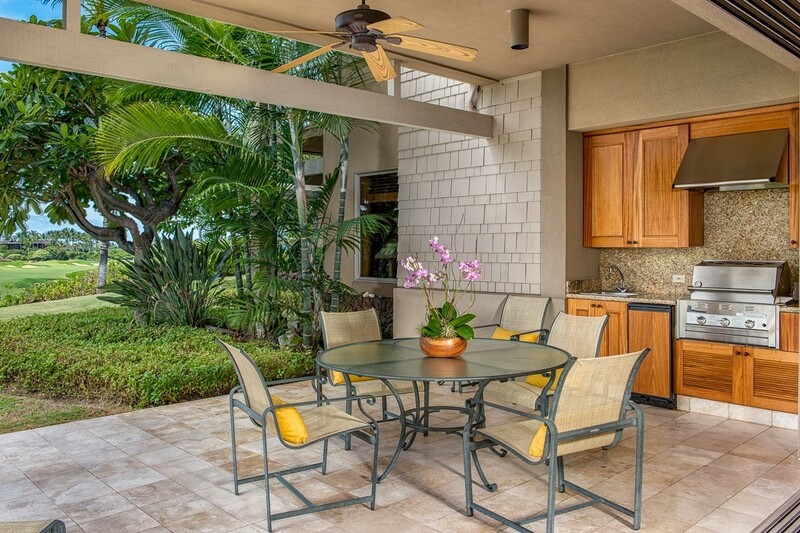 Large pocketing doors open to a spacious outdoor lanai with built-in BBQ for true indoor/outdoor living. 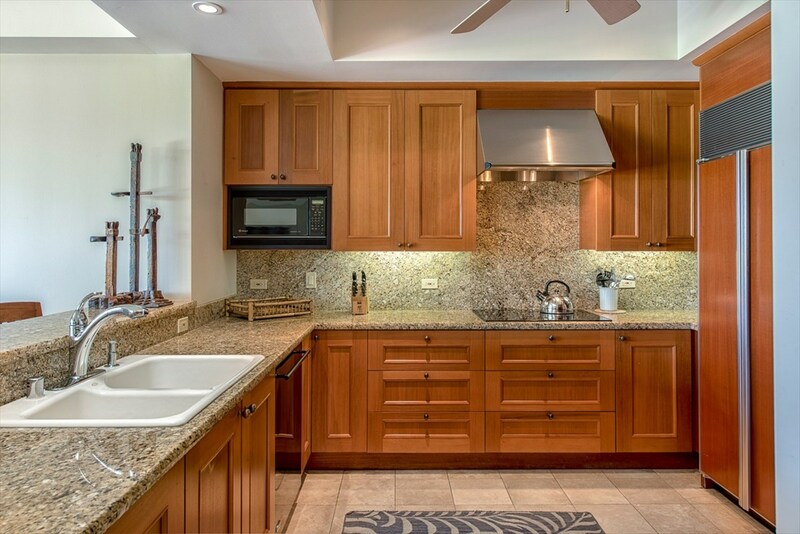 The large doors and windows provide lots of natural light giving this unit a very bright and airy feel. 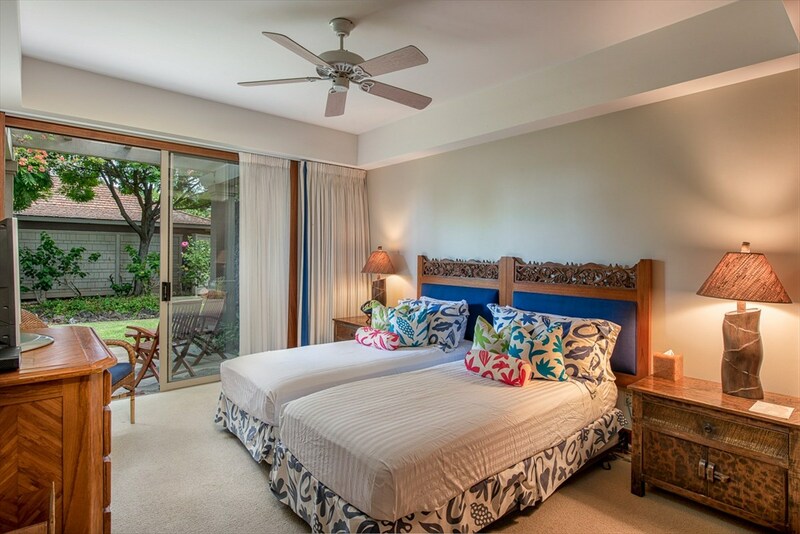 Spacious two bedroom and two bath with 1,870 square feet offers a large master suite and second bedroom with a garden view. 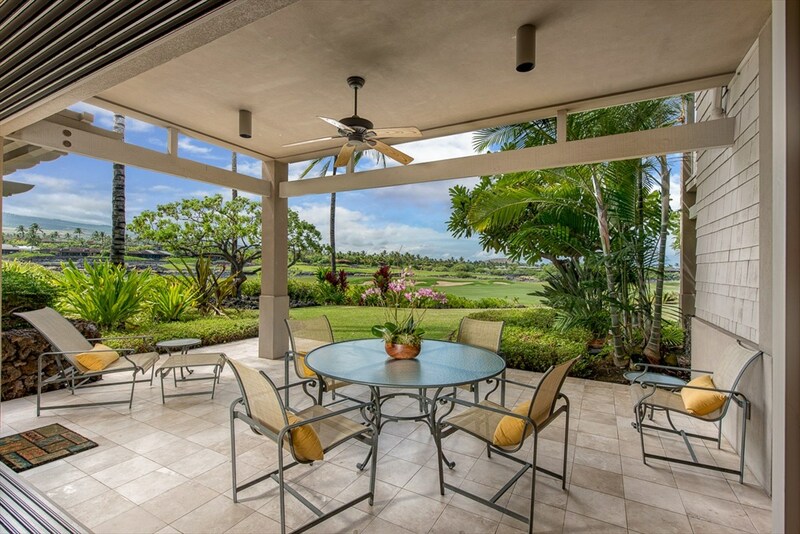 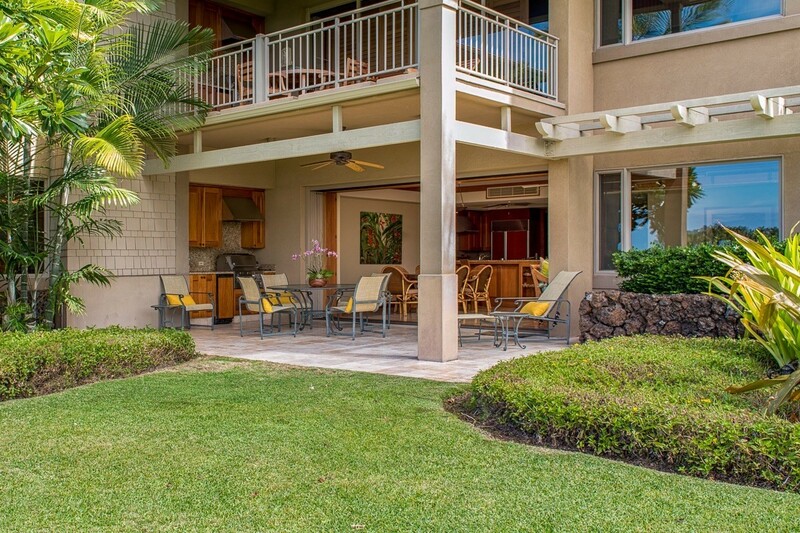 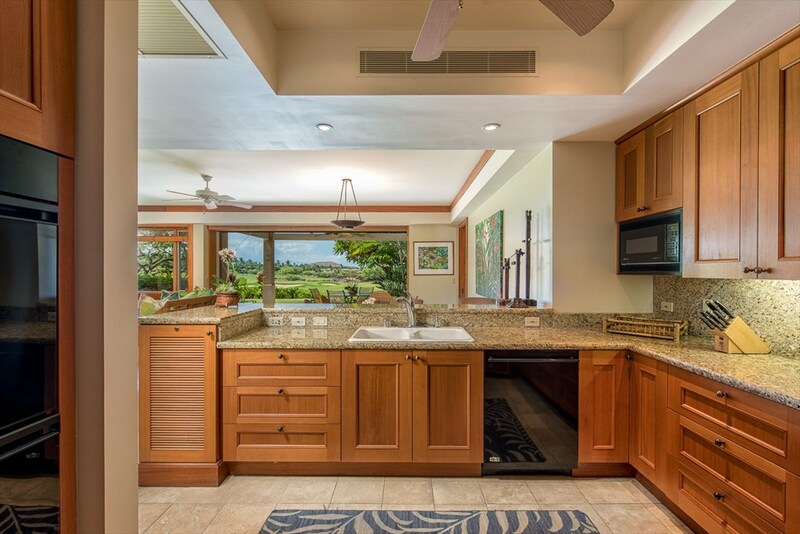 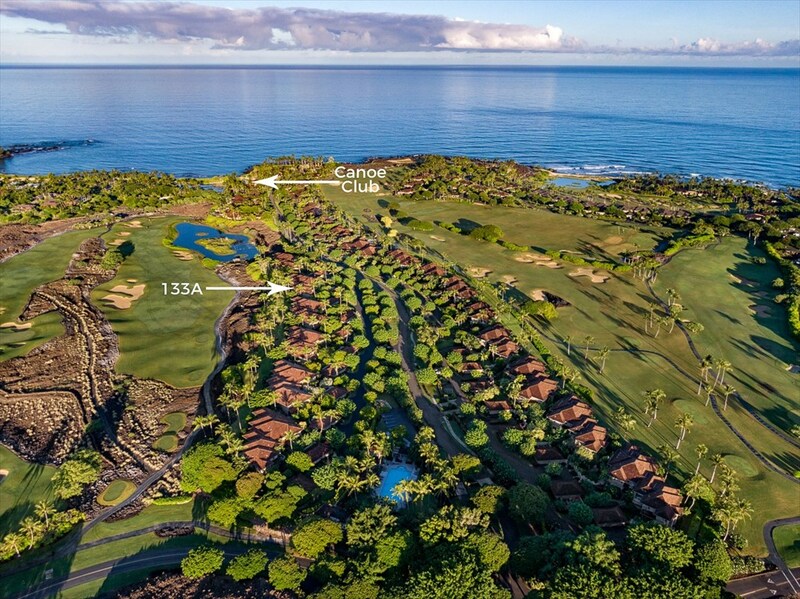 The unit sits elevated above the 5th fairway of the Members’ only Ke‘olu Golf Course and is all on one level for great accessibility, no stairs. 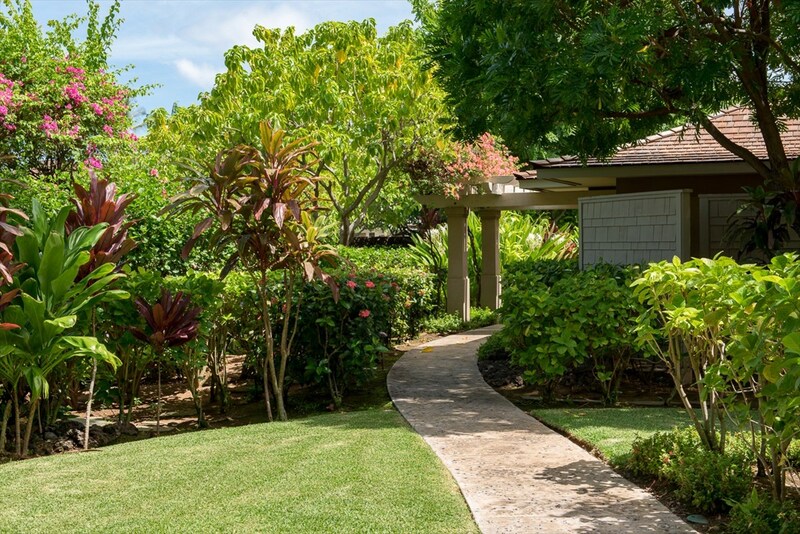 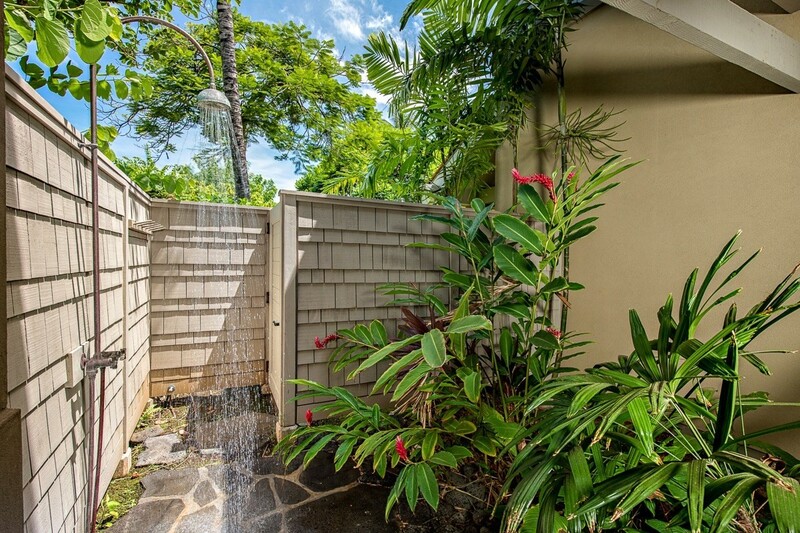 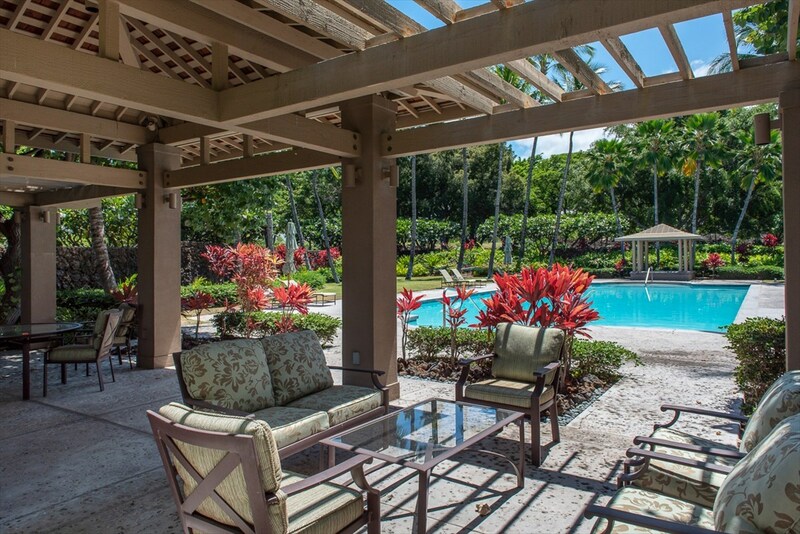 Large garden area behind the unit provides privacy and a beautiful tropical setting. 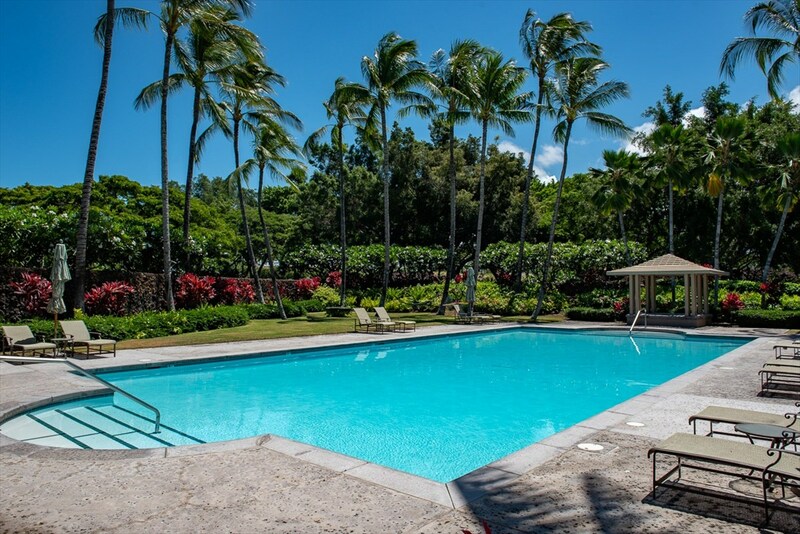 The Waiulu Villa Association has its own 25-meter pool that is on site and includes a covered seating area. 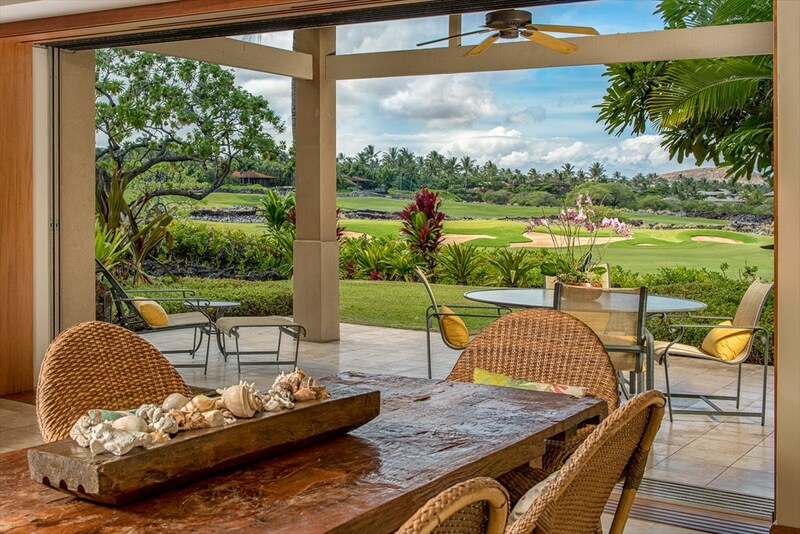 This villa is also within walking distance to the Members' Canoe Club and beach. 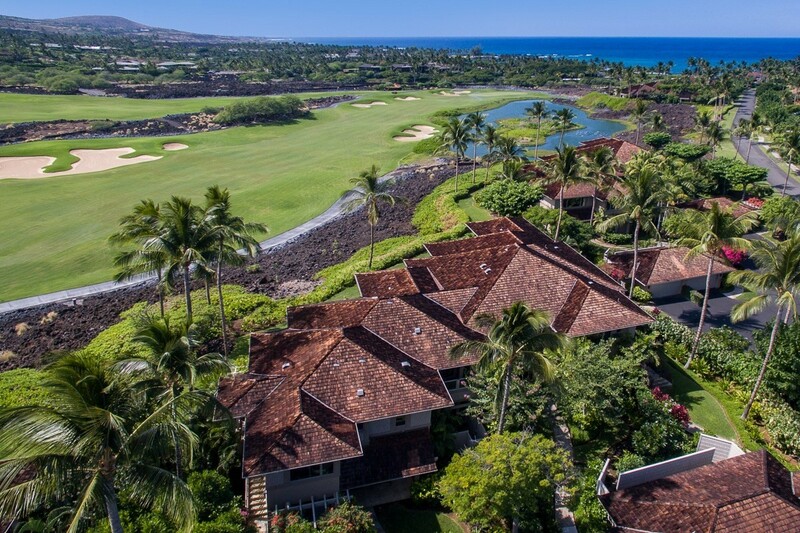 Building roof was replaced within the last six months.